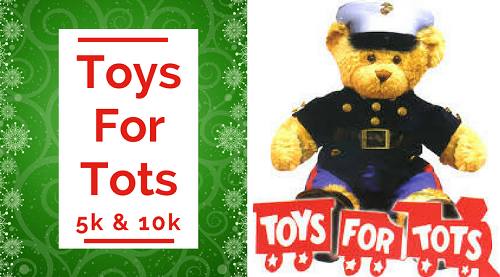 In partnership with Toys for Tots. Finished your Christmas shopping? Want to donate a Christmas gift? Come check out this scenic 5k/10k that will run alongside the Rappahannock River in historic Fredericksburg. Introducing a new Kids 1-Miler option! There’s also an option during registration for adults to add on a technical t-shirt (at $11) to their order. T-shirts guaranteed to runners registered before December 5. We will order extra t-shirts for those who register after that date, but it is on a first-come first-served basis.